Deborah Richards currently serves as Director of Student Services. Deborah joined CREC in 2009 after nearly 30 years of experience in special education and support services. 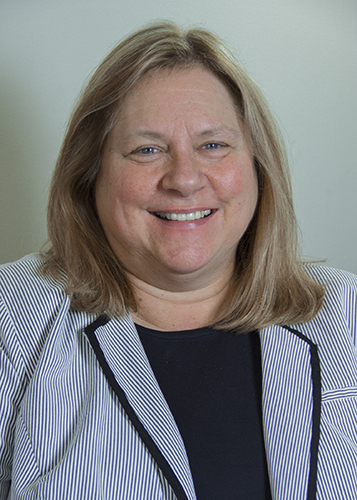 As director, Deborah oversees all of CREC’s special education services consisting of seven separate programs, covering almost 2,500 children ranging from infancy to young adulthood. Deborah began her professional career 3,000 miles from CREC as a speech language pathologist in Elmira, Oregon after attending graduate school at the University of Oregon. She soon moved back to Connecticut where she worked as a speech language pathologist for the EASTCONN Regional Education Services Center. At EASTCONN, Deborah moved up the ranks and eventually became the manager and educational consultant for the organization. In 1996, Deborah took a job as program manager with the Connecticut Birth to Three. In 2001, she became an educational consultant for the Connecticut State Department of Education (SDE) in the Bureau of Special Education. In 2007, Deborah was appointed Chief of the Bureau of Accountability and Improvement at SDE. It was her experience in this position that led her to her current supervisory role at CREC. Deborah has performed hundreds of professional trainings for others. She is a member of the American Speech and Hearing Association and the Council for Exceptional Children and holds multiple professional certifications. She has also sat on countless advisory boards, steering committees, and task forces and was the recipient of a Community Service Award from the American School for the Deaf in 2007. Deborah received her bachelor’s from the University of Connecticut and her master’s from the University of Oregon.